Trust Master Plumbing for all of your Clarksburg hot water heater repair needs! In the fall and winter having hot water is going to feel like a blessing. No one wants to get out of a warm bed just to stagger into a cold bathroom. Even beyond the bathroom, hot water is a necessity for your entire Clarksburg home. Don’t let the lack of hot water interfere with your daily routine and cause your utility bills to go up unnecessarily. What are the benefits of Master Plumbing’s water heater repairs for your Clarksburg home? When your water heater is outdated or on the brink of breaking down, it won’t run nearly as efficiently as it should. Consequently, it will also fail to supply you with all the hot water that you deserve. You’ll be forced to run the water longer in the hope that hot water will come out after a few minutes. But by doing this, you’re wasting water and causing your water bill to skyrocket. When you turn to Master Plumbing for water heater repairs, your Clarksburg home won’t need such high water or energy usage anymore. Save your money and put it towards something more pleasant! How will you know your water heater is in urgent need of repairs? It’s when you find that you can’t get a constant supply of hot water. Besides the obvious discomfort, you might also notice an odd taste or nauseating smell in your water. These could be signs that your water heater is dirty or suffering rust damage. If your Clarksburg home has a rusty water heater, that’s not a problem for us. Here at Master Plumbing we’d be delighted to resolve your water heater problems. Get back to relaxing baths and cleaning your house (not to mention bathing your pets!) with all of the hot water you might require. When you need any sort of plumbing repairs, convenience is the name of the game. We understand that you might not be knowledgeable enough to fix these issues yourself. Since making these repairs can be a tall order, rely on the friendly professionals at Master Plumbing instead. 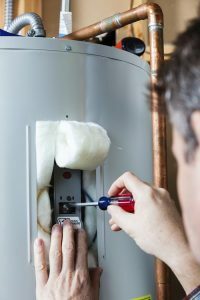 When you have us perform water heater repairs for your Clarksburg home, you can get on with the rest of your busy life and feel confident that we’ll exceed your every expectation. If any problems come up in the future, just let us know! Give Master Plumbing a call at (301) 650-9100 or contact us online to get more information on how our expert plumbers can help you with your Clarksburg home’s plumbing system. We have received Angie’s List Super Service Award recognition for plumbing and drain cleaning every year since 2007, in addition to the Best Plumber award from Best of Bethesda. We are fully licensed, bonded, and insured and our service is unparalleled. Give us a call today—you won’t regret it! To see examples of our projects, follow us on Facebook, Twitter, and Pinterest.